Last night everyone tuned in to watch the stars from all over the world unite at the Academy Awards. Fabulous films and glorious gowns were just a few stand outs of the night, but lets not forget the beautiful makeup that the celebs were wearing! 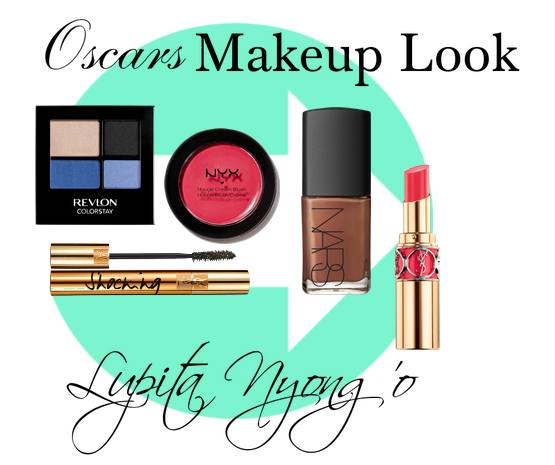 From natural soft looks, to darker more sensual styles, the Oscars were filled with great beauty inspiration. 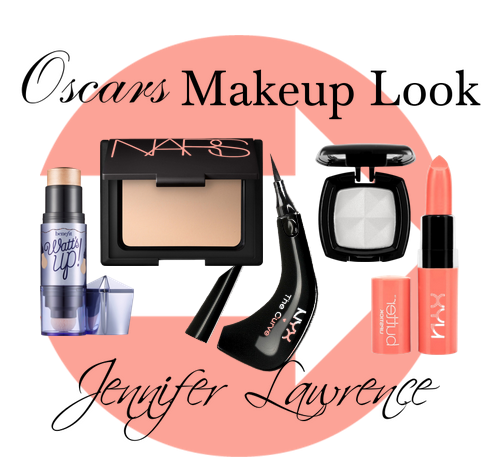 Here are a few of the nights makeup stand outs and how to recreate the look yourself! Jennifer Lawrence looked stunning in her bright red Dior gown. However her simplistic makeup is what made her look stand out the most. Her flawless skin, soft pink lip, and sparkly white eyelids look so graceful and pretty. To recreate this look start with your favourite concealer or foundation and then make it matte with your favourite compact powder. Be sure to add some subtle blush and warm colored highlighter to the cheek bones. Apply some neutral coral/pink lip colour to your lips and load on some eyeliner with a slight wing at the end. Finish with mascara and you’re done! Lupita Nyong’o was the true winner of the night! Not only did her Prada dress look stunning, but she took home the Best Supporting Actress Award, which she definitely deserved! Her beautiful dress worked wonderfully with her bright and bubbly makeup look. Here is how to replicate the beauty look for yourself! Start by perfecting the skin with foundation and be sure to have a healthy glow, just like Lupita by adding some sparkly powder to your t-zone and cheeks. Apply a rosy blush, and load on the mascara so your lashes go on forever! To make a smokey blue eye look like Lupita, start with light whites on your eye ducts and upper brow bones, then shade your crease with a navy blue and pat a bright blue on your lower lid. Finish this look with a hot pink lipstick and youre done! Cate Blanchett looked stunning in her sparkling white dress and her natural, soft makeup look brought the look to life! 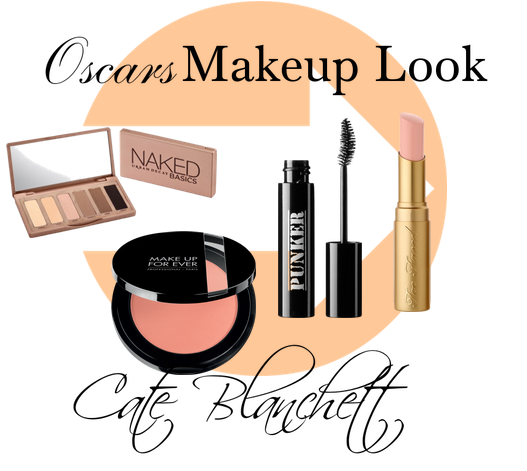 Cate’s style is feminine and elegant and her makeup look at the Oscars definitely encapsulated this. To achieve Cate’s iridescent makeup look bring your lashes to life with your favourite mascara and make your eyes pop with the classic Naked Pallet. The key colours in this eye makeup look are taupe, beige and pale pink so keep your makeup tonel when applying shadow. Next, you’re going to want to bring your cheeks to life with a blush guaranteed to leave you with a rosy glow. Finishing touch? Ballet pink lips perfect for blowing kisses to all your adoring fans.